The flat-item swap I hosted last month was fun, however, I received several wistful emails asking when I would be hosting another pegdoll swap. I'm a sucker for wistful. I'm also game to facilitate anything which inspires fun, joy and creativity. So, here we go! A pegdoll swap with a new twist. 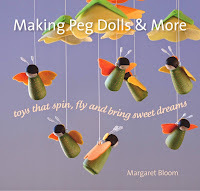 For this swap you are welcome to create pegdolls of any style, or anything pegdoll-like. 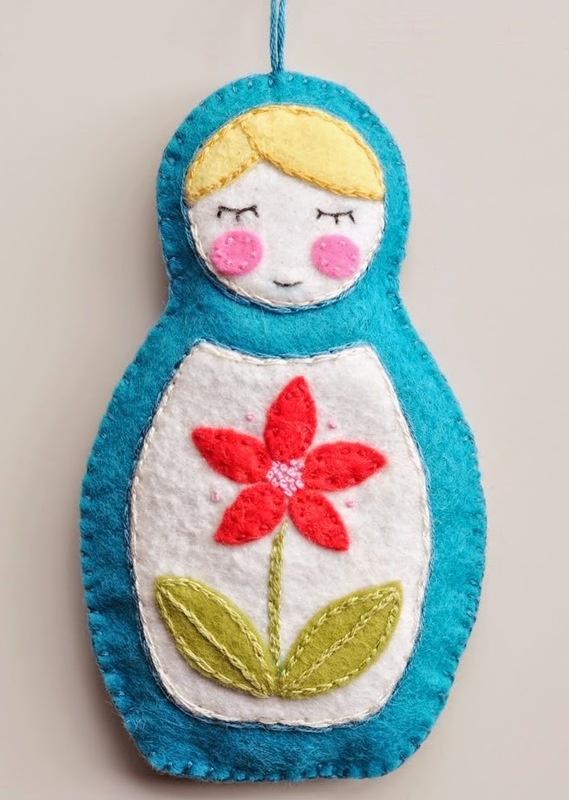 When looking for ideas, you might find inspiration among crafts based on matryoshka or kokeshi style dolls. In fact, for this swap, you are welcome to create something which is not a pegdoll at all, however which contains pegdoll-like elements. 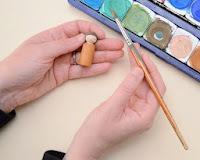 The most distinctive elements are, of course, a small, round face and a rounded body, usually with no arms or legs (however, it's all negotiable!). 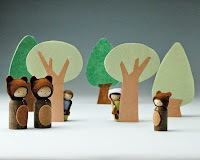 Why have I broadened the theme beyond traditional pegdolls? It's the same reason I initiated the flat-item swap: postal rates have climbed so high that the cost of mailing parcels deterred people in certain countries from joining swaps. 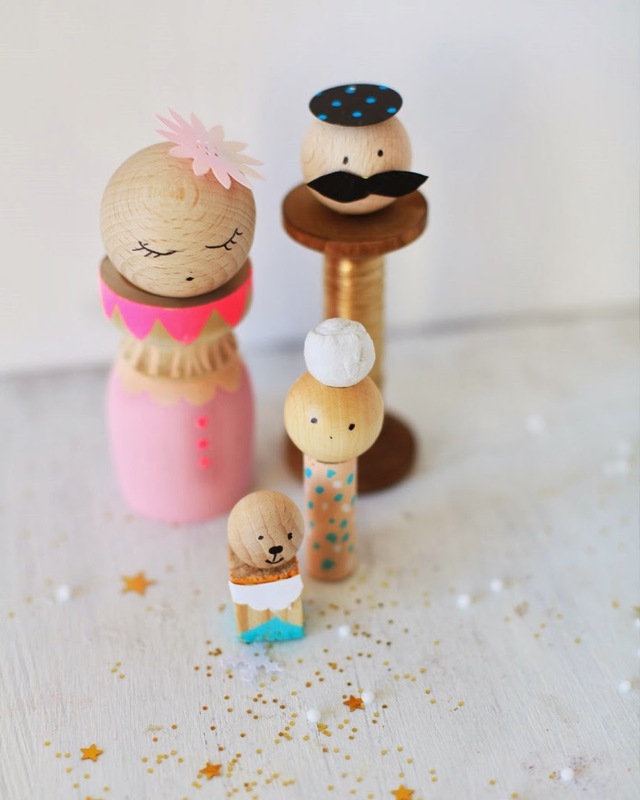 By broadening the criteria, participants will have the option to create pegdolls OR to create something which is flat and hence less expensive to send via post. -- To sign up, please email me margaret (at) flyingteapot (dot) com with 1) your name 2) mailing address 3) email address 4) blog URL if you have one 5) a few sentences about yourself; you can mention your family, information about where you live, what kind of crafting you like to do, materials you like to use, etc... Even if I have all your information from a previous swap, please send it to me again. This way I can cut and paste your information from the email instead of hunting through my archives. Thanks! -- This swap is open to anyone anywhere in the world and to participants of all crafting levels. -- Sign-ups will close Monday, May 5th at 9 p.m. PST, and information about your swap-matches will be emailed to you by Tuesday May 6th. 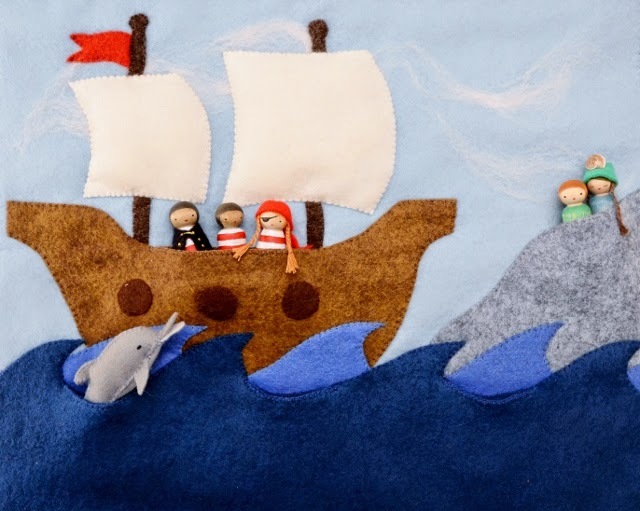 -- By signing up for this swap you agree to create, with you own hands, a pegdoll or pegdoll-inspired item for each of your swap-mates and send them off in a timely fashion. -- Preferably, parcels should be posted to recipients by Friday May 23rd. If you are delayed in sending your parcels, it will be important to communicate this directly to your swap-mates. -- Any questions? Please feel free to send me an email! NOTE: SIGN-UPS FOR THIS SWAP ARE NOW CLOSED. P.S. 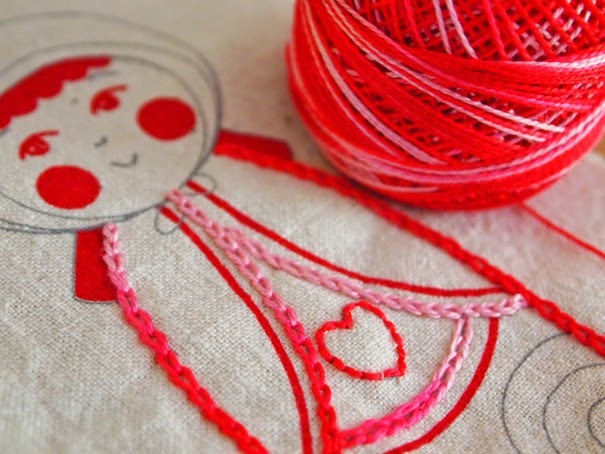 Are you looking for pegdoll making supplies? You can find some sources here.